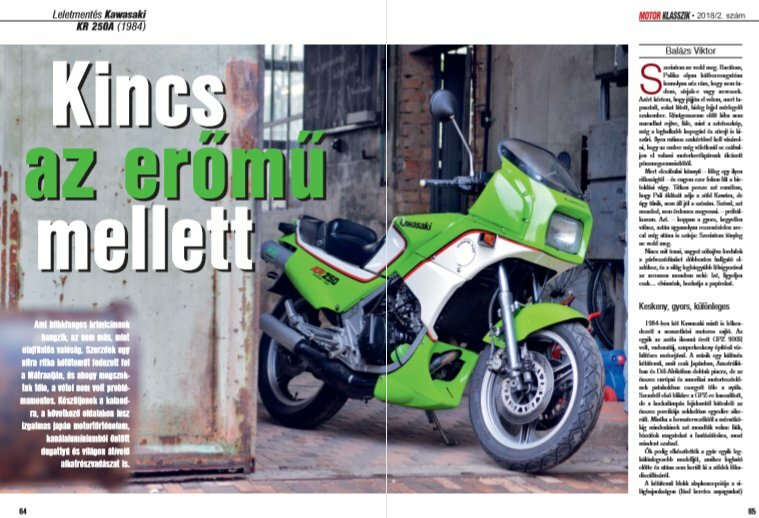 There's a great feature on the KR250 in this Hungarian bike magazine, written and photographed by KR owner Viktor. Very kindly, he gives me and my website a little mention and has sent me a PDF of the article. Thanks Viktor, I love this. Did you intend to attach the pdf? Can't do it off my phone Bernie, I will though when I get chance. I know exactly how you feel Tim. Lovely looking bike, heat shield in place which is good to see. Nice bike, but the mirrors are hideous! What's the small green bottle attached to the frame for? Must be a drain from the carbs? Thanks, Tim! Downloaded the article........ now where's my booklet "How to learn Hungarian in five minutes"????????? Viktor kindly sent me my own copy today. The Google Translate app reveals that he was being very complimentary too!